When it debuted in 2006, the Wachowski brothers film “V for Vendetta” was not quite the box office phenomenon that their 1999 hit “The Matrix” was, yet the cultural and memetic importance of the film has in many ways surpassed The Matrix’s influence. Although the Matrix was huge at the box office as a dystopian sci fi/kung fu action film, it was essentially a philosophic Gnostic/Buddhist composition. Despite the cool special effects and over-the-top fighting scenes, it becomes less accessible and more cerebral as time goes by. V for Vendetta, on the other hand, is a political tome that, given the state of the world, becomes more impactful as its anarchic message continues to resonate with a wider (more politically disillusioned) audience. 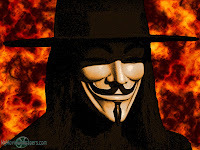 The film’s protagonist, known merely a “V” has become (perhaps it is more correct to say V’s persona or mask, has become) popularly symbolic of resistance to the global power elite. In our media-immersed culture, visual imagery has a global impact. The Guy Fawkes mask has become the world-wide face of revolution. Set against the futuristic landscape of totalitarian Britain, V For Vendetta tells the story of a mild-mannered young woman named Evey (Natalie Portman) who is rescued from a life-and-death situation by a masked man (Hugo Weaving) known only as "V". Incomparably charismatic and ferociously skilled in the art of combat and deception, V ignites a revolution when he urges his fellow citizens to rise up against tyranny and oppression. As Evey uncovers the truth about V’s mysterious background, she also discovers the truth about herself - and emerges as his unlikely ally in the culmination of his plan to bring freedom and justice back to a (British) society fraught with cruelty and corruption. Since the release in 2006 of the film V for Vendetta, based on a comic book series about a dystopian future United Kingdom, written by Alan Moore and illustrated mostly by David Lloyd, the use of stylised "Guy Fawkes" masks, with moustache and pointed beard, has become widespread internationally among groups protesting against politicians, banks and financial institutions. The masks both conceal the identity of individuals and demonstrate their commitment to a shared cause. The character first became an internet meme, common on imageboards such as 4chan as well as on video-sharing based websites such as YouTube. The Internet-based group known as Anonymous adopted the Guy Fawkes mask in 2008, following its use by members during the Operation Chanology protests against the Church of Scientology. On 23 May 2009, protesters dressed up as V and set off a fake barrel of gunpowder outside Parliament while protesting over the issue of British MPs' expenses. - from wikipedia’s “gunpowder plot in popular culture"
Thus the widespread use of the Guy Fawkes mask as a symbol of protest and solidarity continues to gain momentum around the world. 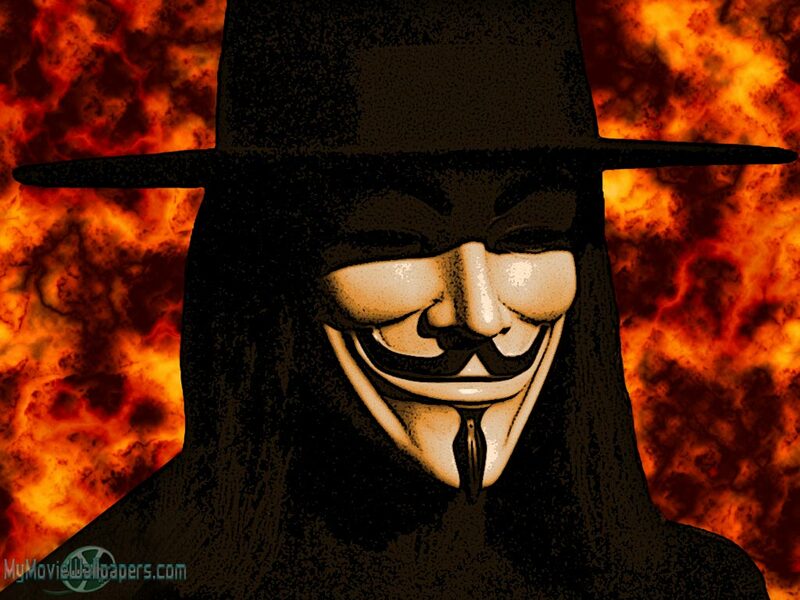 Of particular interest is the correlation between the Guy Fawkes persona and the internet moniker Anonymous. Within the bulletin board and blog-o-sphere, the use of anonymous is a convenient and unidentifiable (some would accuse irresponsible) way of signing comments without publically implicating oneself. Much commentary on the Internet is done anonymously, using pseudonyms. These names can take on an identity of their own and provide a degree of separation from the actual author. 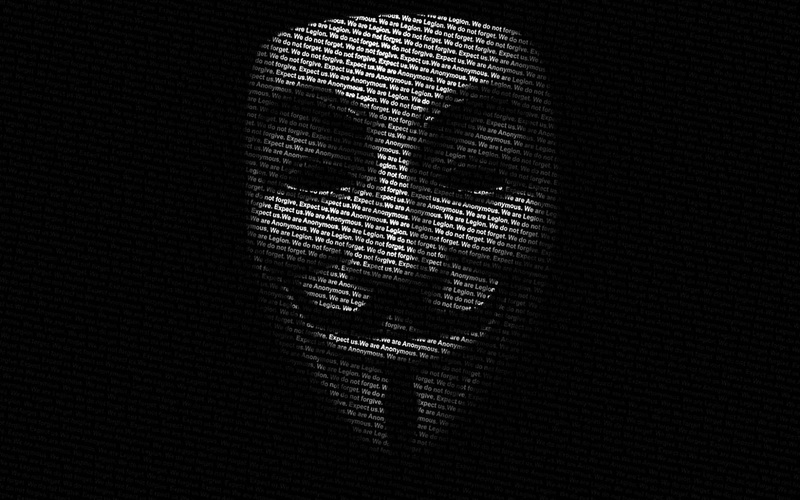 Anonymity is a time-honored component of a free society, especially in the arena of political dissent. Within this context, signing an internet post as anonymous takes on a greater, more nuanced meaning… it now becomes associated with subversion and rebellion. Otherwise unassociated individuals using the anonymous tag to mask identification on-line become co-conspirators in the global resistance to the machine. In this regard, signing a post anonymous now becomes a revolutionary act. Anonymous are everywhere. It is fascinating how seemingly mundane objects or events become symbolically significant to large segments of the population. What ineffable property resonates with humanity, turning the common into the extraordinary… turning a plastic mask into the face of revolution? Ultimately, it is the use of symbols… the artifacts of the mind that turn the ordinary into the magical… that is so intriguing. Use of symbols and the ability to communicate deep understanding with their use, is what being human is all about. It’s what makes the pain and suffering of being human... tolerable. Symbols evolve rapidly under the watchful eye of the media. Even as coordinated efforts to squash the Occupy Rebellion have brought un-intended consequences to the “powers that be” …the face of “occupy” is morphing. That old rascally trickster, Krampus, aka: Black Peter has reared his ancient, gnarled grimace, much to the delight of the news media’s camera crews. 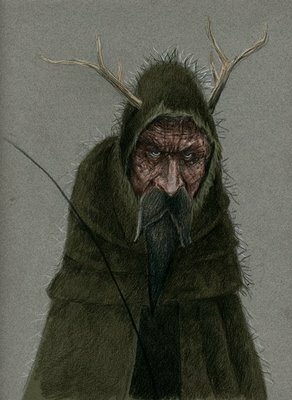 Krampus is the personification of the old pre-Christian Nordic woods-spirits… the face of the old pagan deities of Europe. In an earlier yuletide post, we more fully examined the Krampus Mythos. While there are many good reasons for members of the Occupy movement to relate to the rehabilitated image of Guy Fawkes/”V”, I am personally convinced that the image of Krampus could potentially be a much more effective iconic symbol of the Occupy movement, especially in the coming weeks leading up to Christmas which is arguably one of the biggest and most lucrative times of year for large banking institutions and corporations that have been shown to have connections to less-than-equitable business practices. Krampus represents responsibility and accountability for one’s actions while more than willing to punish those who engage in harmful practices – business and otherwise. The full post from which the above quote was taken can be found here. that a man could be as poor as me. now let's go… run and see… run and see… run and see! V is (the Mask of) God. 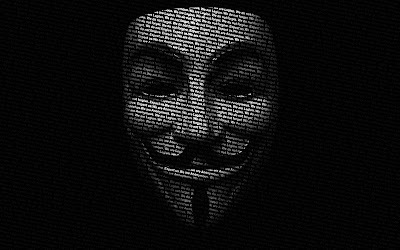 "Anonymous," esoterically, are the adepts that have eliminated their earthly ego-identities (NEMO in Thelemic parlance). Leading the slaves out of Egypt. Evey dons the Mask at the end of V for Vendetta. The Veil of Isis.